We didn’t have to ponder for too long in coming up with a title for our proposed show in London on July 8 – especially after the headliner Billy Joe Saunders labelled his 5ft 4″ opponent a puffed up Danny DeVito. So with the stocky Avtandil Khurtsidze set to emerge from the opposite corner at the Copper Box, we reckon ‘Get Shorty’ fits the bill nicely. 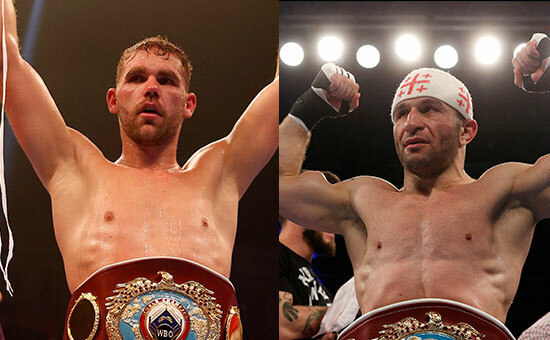 Jokes aside, Khurtsidze showed on Saturday in Leicester that he presents a clear and present threat to everyone in the middleweight division. He is like a bull charging forward and you could say Tommy Langford got caught short by a bludgeoning left hook in the fifth round that ended his night as well as his hopes of landing the WBO interim world title. Khurtsidze fighting Langford for the secondary title was part of a package we put together that would allow Billy Joe to fight Gennady Golovkin in a unification contest. The Georgian was also paid a step-aside fee for the delay to his mandatory challenge. 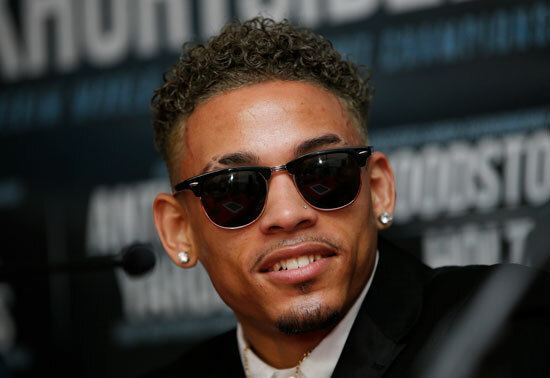 With the Golovkin camp stalling on putting the final piece in the middleweight title jigsaw, Bill cannot afford to sit around waiting any longer and needs to get active against genuine challengers. Khurtsidze showed his credentials in Leicester and we now have a real fight on our hands, although we nearly had a prequel at the press conference when Khurtsidze called it on early, with Bill being more than happy to oblige. A number of commentators Stateside believe this will be a foregone conclusion and can’t see Bill repelling the charge of the Brooklyn resident. Myself and, obviously, Bill view it very differently. There is not a lot of science in the methods of Khurtsidze, who is predictable and telegraphs his shots. A clever, slippery customer like Bill is far too stealthy to get himself cornered and, even if he lands the odd lucky one, our man has one of the best chins in the middleweight business. It will be an exciting and intriguing fight, but I can only see one winner. While the Golovkin fight being parked up for a while was a natural frustration of Bill, it could also be a blessing in disguise. Hunting down the supposed top dogs of the division has resulted in Bill stagnating a bit, so a couple of solid defences of his belt against dangerous opponents could be just what he needs. As long as he remains champion, the Golovkin and Canelo fights will come soon enough and Bill’s stock will only increase if he delivers one or two statement performances beforehand. Talking of statements, young Lyon Woodstock made an emphatic declaration of future intent with the way he went about winning his first title on Saturday night. The 23-year-old Leicester lad, who calls himself ‘The King’, won the Midlands Area belt in just his ninth fight against Paul Holt and showed that he has got the bottle to go with his natural brashness. Area titles provide an ideal proving ground for young prospects and, on occasions, they get a rude awakening against opponents who are happy to put them in their place. Holt himself was probably thinking along those lines as he jumped on Lyon from the off and for the first round and a half he was all over him. That Lyon kept his composure before unleashing his own spiteful brand of punishment showed what he is all about. It is the start of big things for him, he is someone I have had faith in from the beginning and I have been banging the drum. He is colourful and he can fight – and he is a good kid to work with. The fans in Leicester came out to support him in numbers and the Leicester Arena is going to be the home of Lyon Woodstock for a while now. As is often the case, there were a few conspiracy theories floating about following the withdrawal of Hughie Fury from his WBO world heavyweight title challenge against the champion Joseph Parker. The fact of the matter is that Hughie is injured and, let’s be honest here, he is not going to have given up such a bumper payday lightly. He has hurt his back and training has been significantly disrupted. Until he has recovered properly the prospect of a 24 hour flight to New Zealand is not one that is going to appeal. 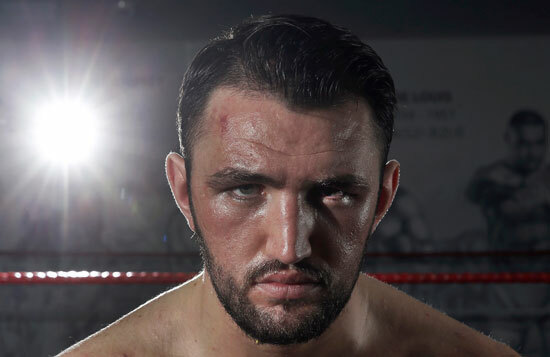 Hughie will be ready to resume full training in about three to four weeks time and medical evidence has been provided to the relevant parties. Fights falling out of bed so close to the date is always a shattering blow to everyone concerned – as I know as well as anyone – but there is no reason why Hughie should not still be next in line for a shot at the title. He is the mandatory challenger and, in this sport more than most, injuries do happen and it is through no fault of his own. It is a fight I strongly fancy him to win and I hope a new date will be sorted soon.